The latest Google Chrome stable for Linux uses Aura (instead of GTK2, which was previously used), a new graphical stack which was initially used on Chrome OS, then on Chrome for Windows and Mac and now finally on Linux. One of the most important features in this new Google Chrome release for Linux is the Notification Center. 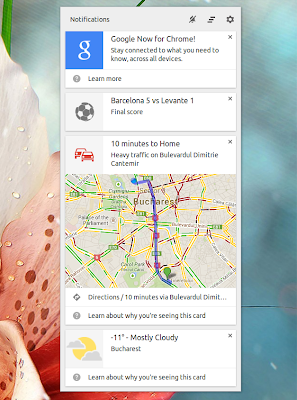 This is a place that keeps track of your unread notifications so you don't miss any important notifications. 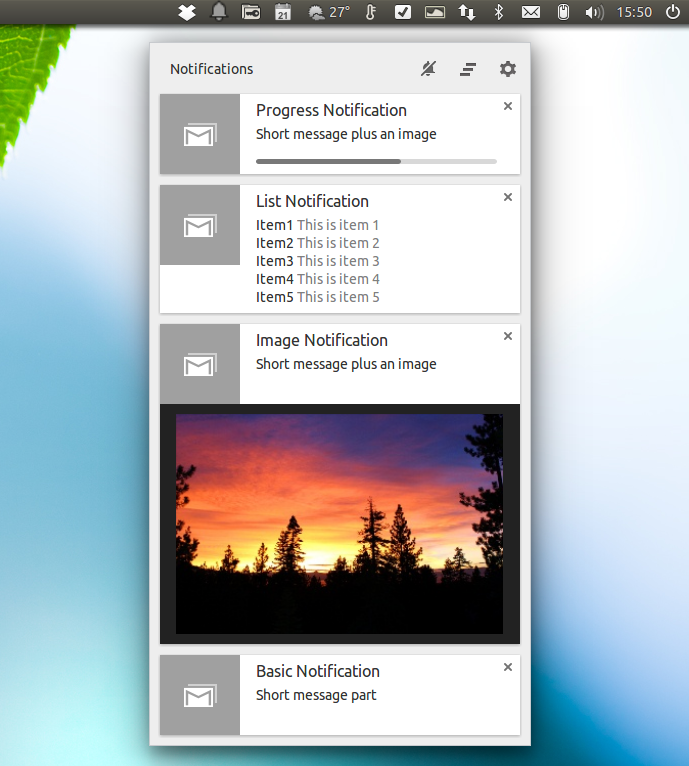 The Notification Center icon isn't displayed until you receive some notifications. There is a way (most probably a bug) to get the Notification Center icon to be displayed even if you don't have any notifications: press F11 twice. Yet another new feature available on Linux with the latest Google Chrome stable is the App Launcher. 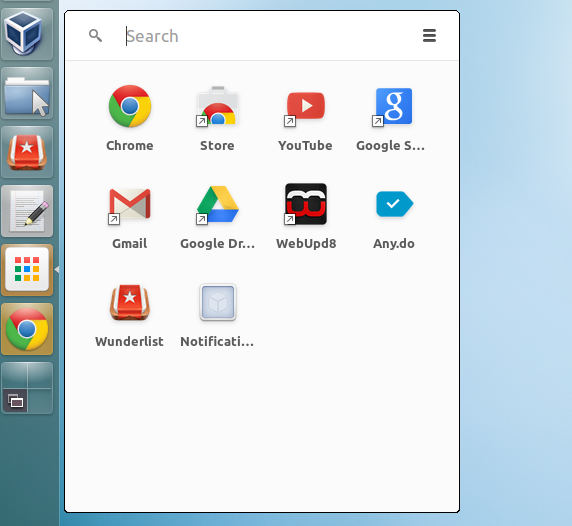 The App Launcher is currently not enabled by default on Google Chrome stable for Linux. 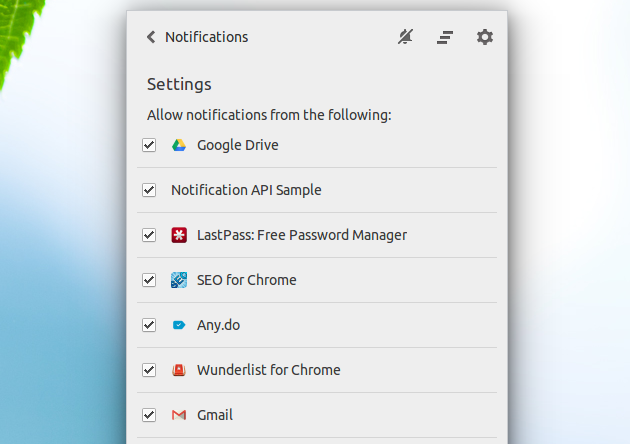 To activate it, open chrome://flags in Chrome, search for "Enable the app launcher" and enable it, then restart the browser. 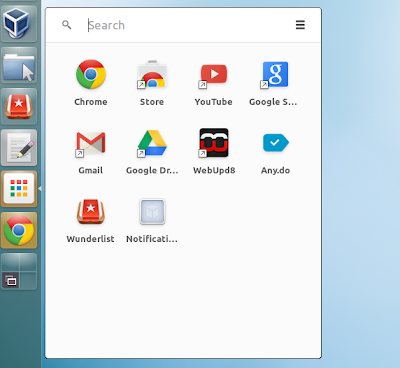 Then, to get the menu to show up, you must install a Chrome packaged app from the web store (you must install an application from the "For Your Desktop" category). 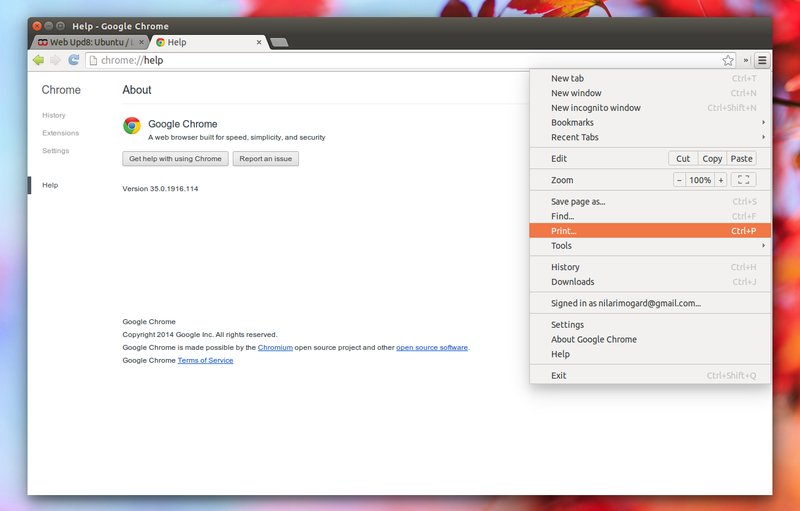 NPAPI support was removed from Google Chrome 35 for Linux (and all the other platforms will soon follow!) - that means that Java (both OpenJDK/JRE and Oracle Java), Silverlight (Pipelight), the old Adobe Flash and any other NPAPI plugins don't work in Google Chrome 35 for Linux. 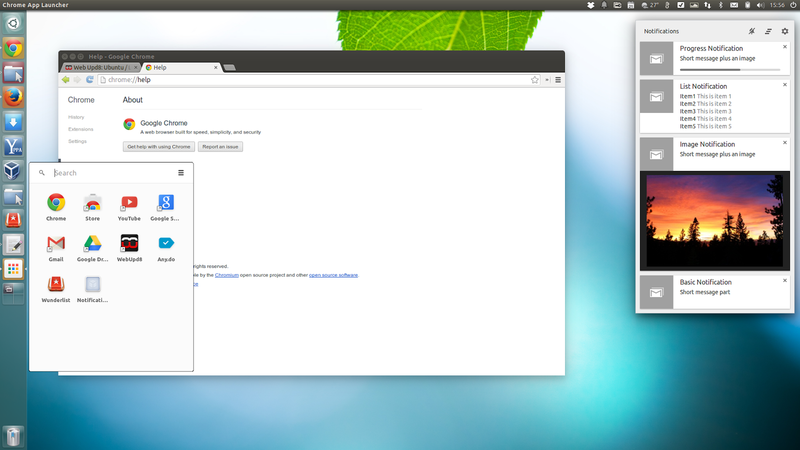 Did you try the latest Google Chrome stable for Linux? Did you encounter any issues?